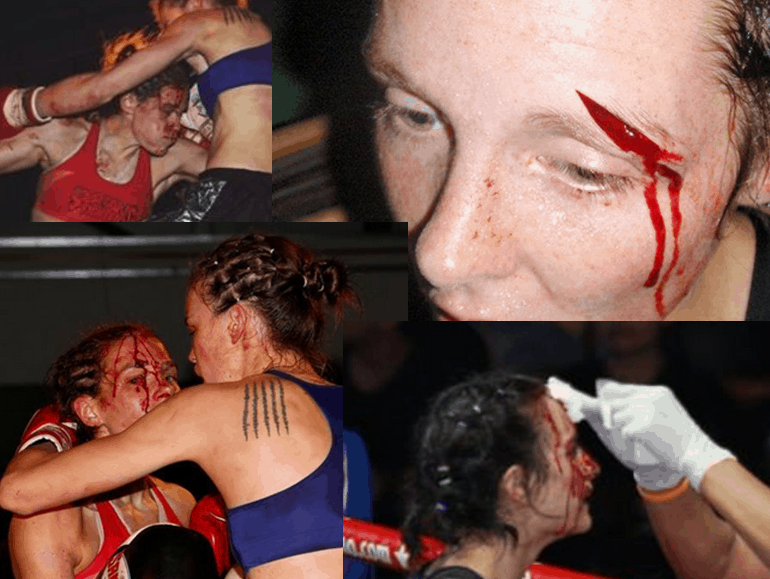 This is a call for female fighters to send me photos of their own bloodied face, to join a wall of women who have had their faces bloodied in fights. 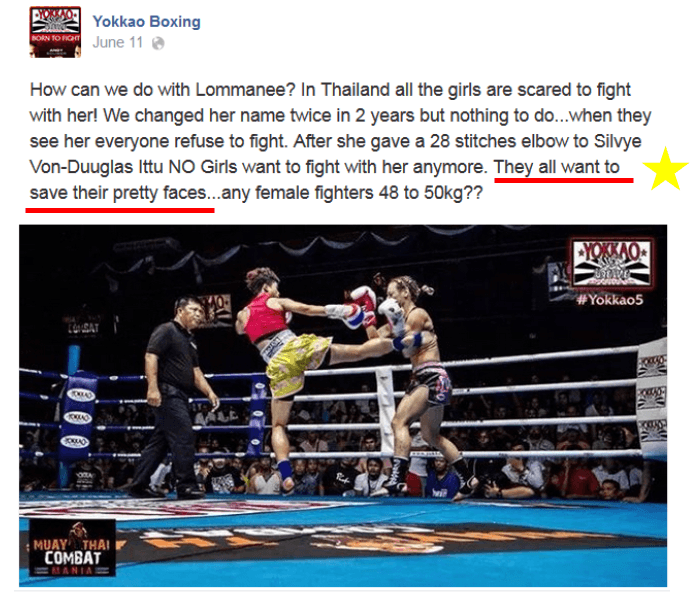 This is really in answer to the absence of the bloodied female face in fight media, something which actively works to segregate women, aesthetically, as something less than “real” fighters. The bloodied male face is celebrated in media; it symbolizes male toughness, aggression, commitment. 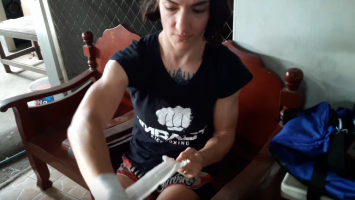 But to a large degree the female fighter face has been whitewashed in a sea of beauty shots and makeup – as female fighters we need to start celebrating it, embracing it as a symbol of our beauty. 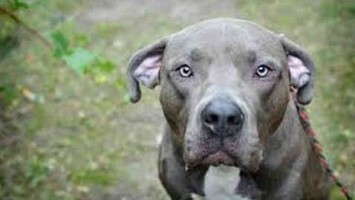 It is up to us to put this face forward too. 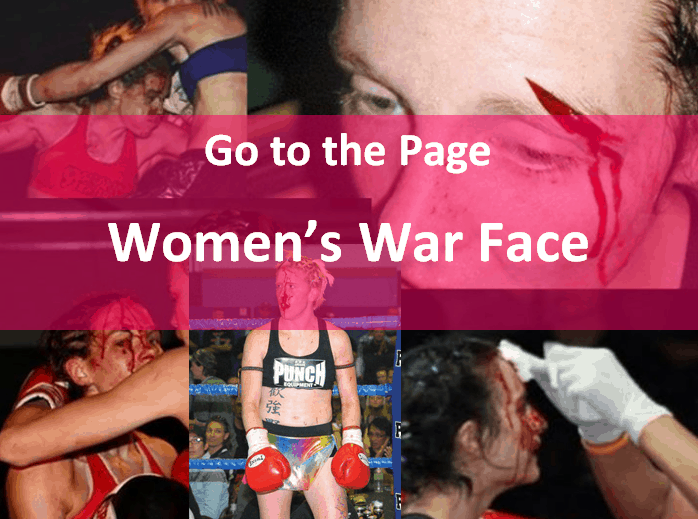 Fighters, send me your photo/s (and even video) of your bloodied face so I can put it on the page Woman’s War Face: the Bloody Female Muay Thai Fighter Face – New Beauty. There, we can put together a collection of female face media that works beyond the images that have largely been chosen for us by male controlled media. At this point I ask only for self-submitted photos – this needs to be embraced and celebrated by the fighters themselves; this isn’t for gawking. 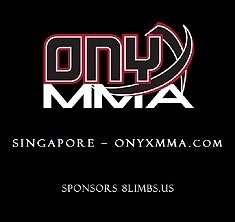 Please include your name, the date of the fight and the name of your opponent, if you have those. 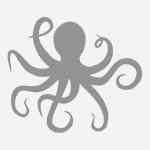 Send photos to [email protected]. 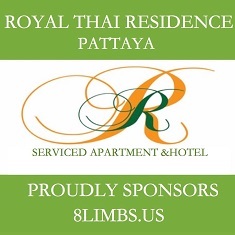 The above was the broadcast commentary during my Yokkao 7 fight from last February (2014) against Lommanee Sor. Hurin. Early on in the fight I received a pronounced cut in the middle of my forehead. (you can hear the full live commentary here). I don’t know the name of the man I’ve called “Announcer” above, but UK fighter Liam Harrison was providing color commentary. 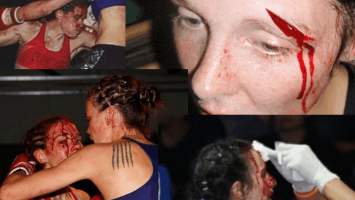 This is not to point out some kind of unique attitude or reaction toward the bloodied female face, but rather to show the prevalence of this attitude, that it exists even among those who count themselves as female fight fans, or even advocates. It is enough to say that the comparison of me to a child (in the negative), or to a coerced person is simply not something that would ever be said, or even thought about a 30 year old man. “He’s a grown man,” might make an appearance – maybe, in a different sense – but “he’s not a child,” would never pass the lips of these announcers when commenting on a male fight. The distinction is that a man is never associated with a child whereas a woman often is. This commentary intensified my thoughts about the absence of the bloodied female face in fight media. I had been cut before, I have been and likely will be cut again. 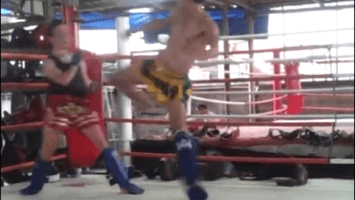 It is one of the realities of fighting full rules Muay Thai in Thailand, where the cut is strategically used not so much to damage but to end fights. But the dramatic blood in this fight and its photos seemed to set off a variety of interesting reactions. 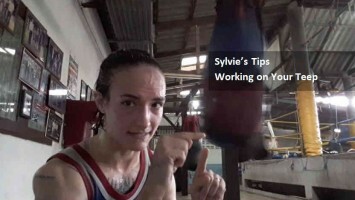 First was that it inspired one of my followers to make this meme of me, which called into question the sexist practices of Lumpinee stadium (under the guise of “tradition”, as sexism often is). 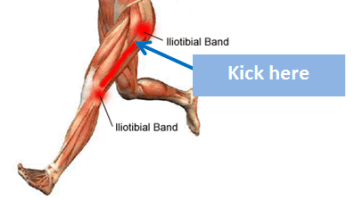 I wrote about that here: Can Bleed Like a Man. The final line on the Facebook post is just this side of outrageous. Here we have a man indeed celebrating the violence of their fighter, to a male audience, in fact celebrating the damage done (but perhaps feeling that they showed some restraint in not posting photos of the blood, being gentlemanly as they are)…but then in a somewhat demeaning voice insulting a majority of women fighters, all of whom are assumed to be valuing their beauty over fighting itself. 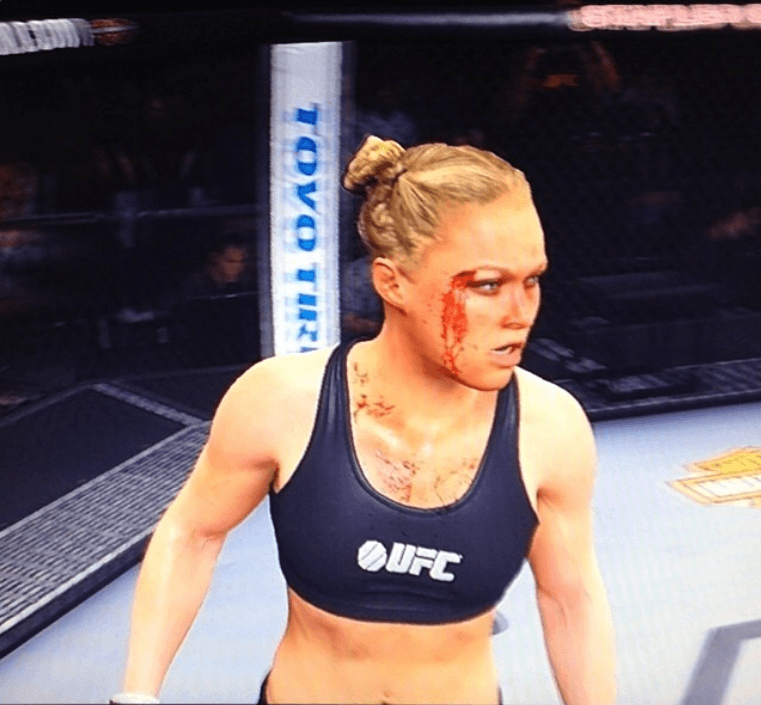 And lastly, for me, thinking about the absence of the bloodied female face came to a particular focus when I saw that Ronda Rousey in an instagram posted a screen shot of herself digitally bloodied. This was pretty remarkable. 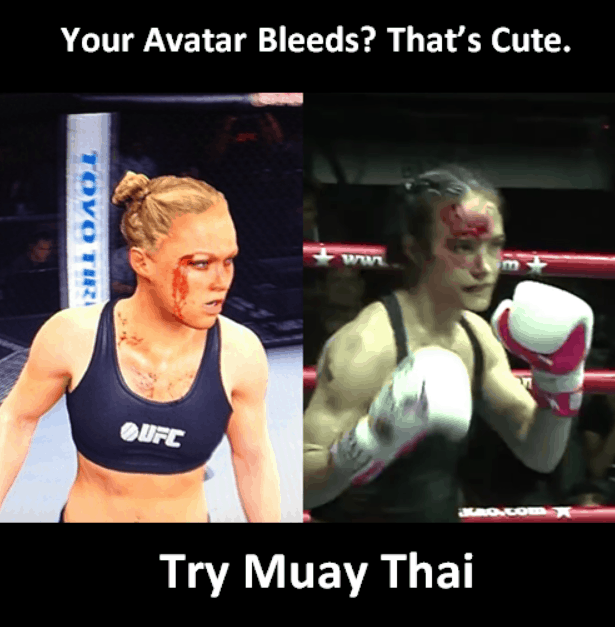 For one, I don’t believe she’s ever fought bloodied in her MMA career. 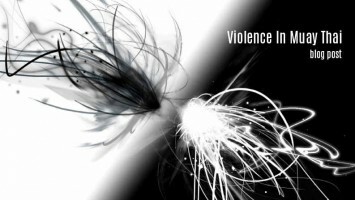 But more than this, that in a digitized form – where images that are somewhat idealized, and even sexualized – it was suddenly part of the fantasy for a female fighter to BE bloodied. A bleeding face on a woman was seen as somehow attractive. A kind of new beauty. 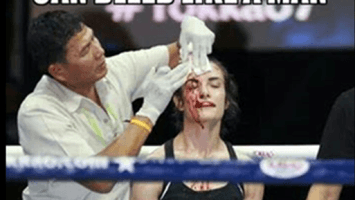 I had some fun with this – hey, it’s my sense of humor – and put up a meme that spoke to the reality of Muay Thai cuts (below), as opposed to the fantasy of digital fighting – it was not meant to put down Ronda Rousey, though it may have come off that way. I’m a huge fan and would never, ever suggest she’s delicate. 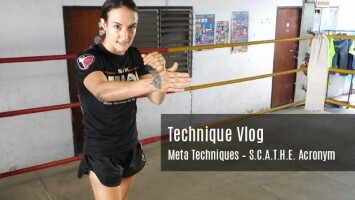 I added some thoughts on the general absence of blood on the female fight face in my Facebook post. This is a pretty big step that EA Sports decided that the digital female face was more aesthetically interesting bloodied, rather than not. You can see the comments and the original post here. 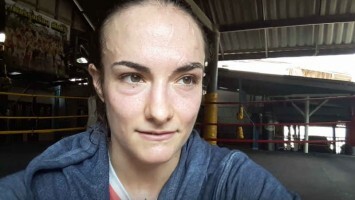 What got me thinking about putting together a page with all the faces of bloodied female fighters is that some people started posting their photos of bloodied face in the thread, in particular Victoria Lomax who put up two, one with the comment: “Completely agree with u Sylvie!!! Think people need to get with the times, and not be worried about posting a pic with a females face cover in blood. 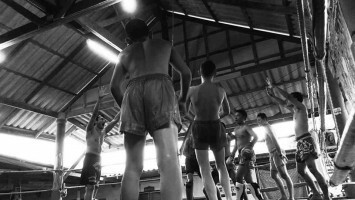 It’s part of the sport, we accept that when we get in the ring! after all I believe if there’s a female fight on the her cards it’s normally the best fight of the night!! 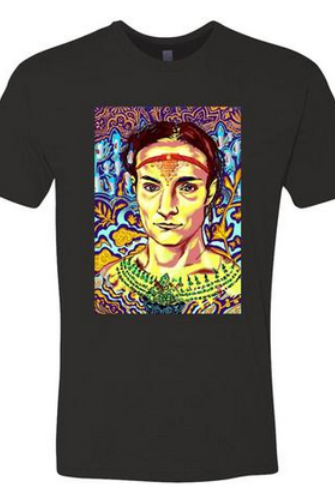 Lol” – I realized that this can be empowering. Women having control over expression of themselves, as fighters, instead of having their images shaped for them. I’ve grown proud of my bloodied face in the Lommanee fight, and I supposed that many women are proud of their own bloodied faces, as well. It isn’t women who are hiding our bloodied faces – it’s men who are hiding them for us. In that thread I proposed to Rew of Awakening Fighters that he might put up a page of bloodied faces on his site, a site that is rich in beauty shots, and he enthusiastically said he would think about how to do so. But then I realized I should put one up here. 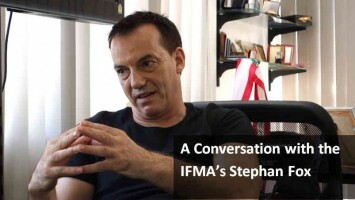 Perhaps there will be two, in connection and communication with each other. The more there are, the more likely this image will become accepted. The bloodied face is far more common on men, for several reasons. 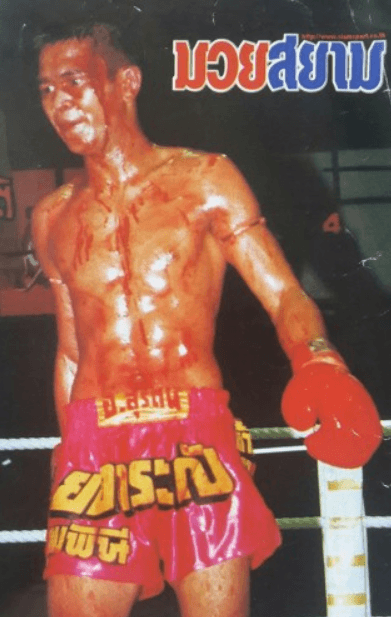 I first became sensitive to what the bloodied face means in watching the Kevin Ross fight vs Tetsuya Yamato (Lion Fight). 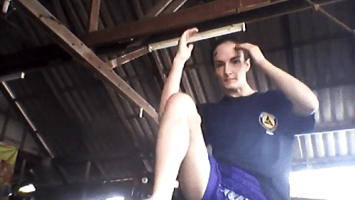 What was so interesting – in fact almost vastly interesting – is that in that fight Kevin Ross committed one of the most frowned upon moves, at least by Thai aesthetics, by turning his back in that fight. It’s only a couple seconds and it seems that western audiences largely don’t even register it by how that fight was received. 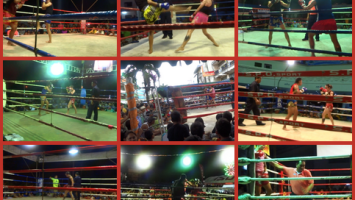 In Thailand, you pretty much never turn your back in a fight, and if you do so more than once, they’ll can just call the fight and you lose. It’s a signal that you don’t want to fight. Kevin Ross, incredibly, turned his back and kind of ran and nearly fell out of the ring with his head between the ropes. The ref seemed to not even know what to do, so he just called a timeout (?) and had the doctor look at him, which seemed like an act of saving face. Who knows, maybe Ross couldn’t see? What is amazing is that this moment in the fight is almost completely forgotten by everyone. 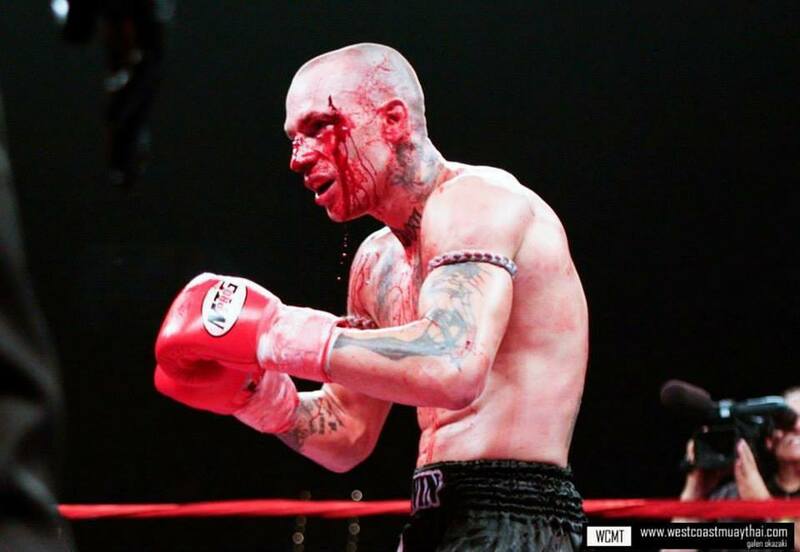 It is one of the most memorable moments, at least for me, in all the fights I’ve seen, but instead what is remembered by most is how incredibly badass Kevin Ross was, because of the images of him fighting with blood streaming down his face. That fight, due to bloody face photos, actually increased Kevin Ross’s reputation. 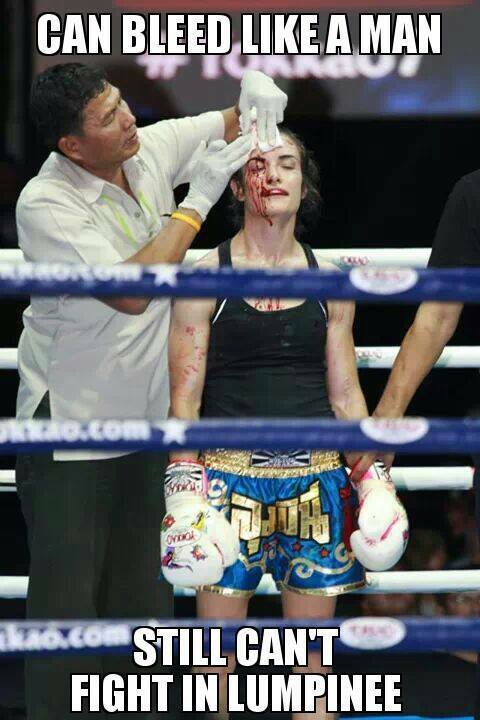 And the same thing happened to me as well in the Yokkao fight. 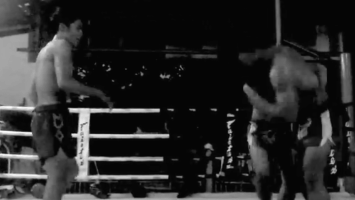 I knew going in that the only chance I really had against Lommanee was to turn the fight into a clinch fight. 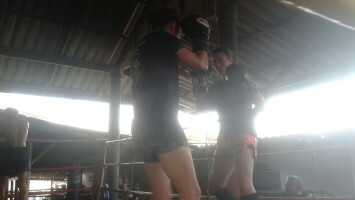 She is bigger than I am, both taller and heavier, and much more experienced and skilled. My strength is clinch. It’s how I finish bigger fighters. But in this fight against her I admit I wasn’t looking great. 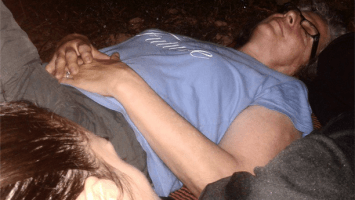 I was off-balance, my guard was soft, and she was comfortably choosing her elbows. But instead of my weaknesses, the blood lives on. My toughness comes through, beyond the fight. Both Kevin Ross and I are “saved” by the way a bloodied face lives on in media. This seeming over-valuing of the blood isn’t really a false picture of fighting though. It’s a kind of displaced picture. And this is one reason why women need to claim the bloodied face as our own. The bloody face says a great deal. It says: what is being done here is not common. This is not something average people do. It indeed symbolizes, and more importantly emotionally invokes a commitment that is extraordinary. And in my fight against Lommanee the commentators, after they got beyond their squeemishness of my unladylike appearance, indeed went on to praise my “heart of a lion”, repeatedly. 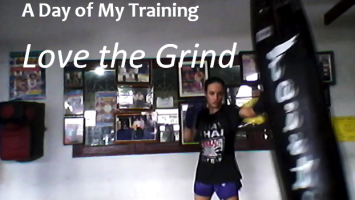 And I do have a fighter’s heart, though that heart is not shown just in a moment when the skin pops and I keep on going – it’s in the hundreds upon hundreds of hours of training through every pain, and the determination to get into the ring again, and again, and never giving up. Kevin Ross earned his bloody face reputation long before he got that cut and kept on going. 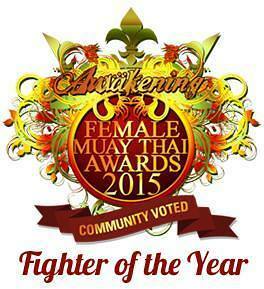 And women fighters earn it every day in gyms and rings all over the world. We have the right to the bloodied face, the right for that to be our beauty, too. On the other hand, getting cut as a male is also not favorable, as a fighter with stitches is wearing his mistake on his face as a reminder that he was not clever or didn’t defend himself from something that’s fairly easily avoided. 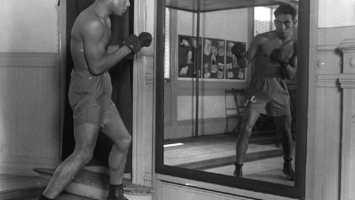 Nonetheless, the fighter with the blood on his face in the fight is often featured on the color-picture pages of fight magazines or even on the cover and the image is absolutely read as part of the guts and glory of fighting. 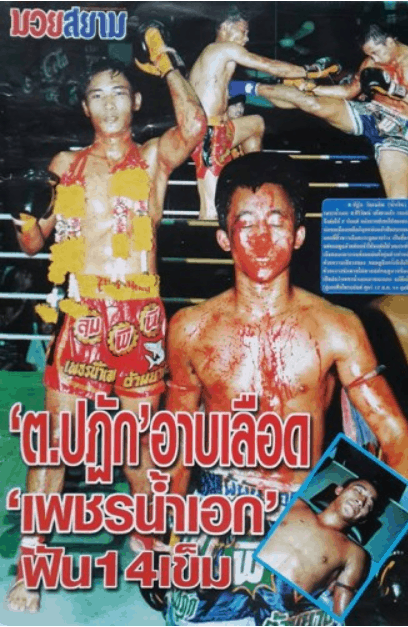 You can see an entire page of bloodied male faces from Thai fight media here (part of where I got the idea of a wall of bloodied female faces). 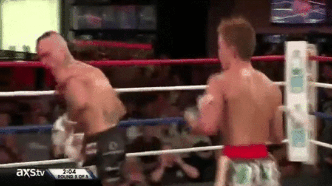 The last photo (above) is a somewhat famous moment of Ramon Dekkers. Indeed, Dekkers coming to fight the Thais on their own turf faced one of the biggest psychological fears of western fighters: the elbow. Notoriously, Dekkers cut easily, did not have great elbow defense, he scarred a lot and the Thais took advantage of this over and over again. 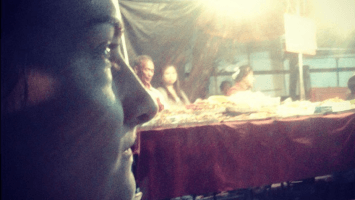 As western women come to fight in Thailand – and a big part of why I am committed to fighting 100 fights, and writing so much about it is to inspire women to come here and fight frequently – they come crossing a psychological barrier. They come here, far away from the protective attitudes, perhaps padded elbows and modified rules of their own countries, to face the possibility of the bloodying of their own face. And not just bloodying, scarring. 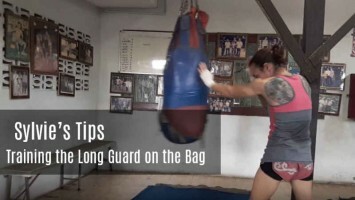 Women Thai fighters here know that western women are not, generally, comfortable with elbows, and experienced Thai women will devote a lot of attention to elbows in fights against westerners, trying to intimidate farang fighters (and end fights easily). In many ways the bloodied face here, for westerners, is about transgression. It is about how much you love the sport. It is about a woman risking the capital that society more readily gives her, for a different kind of capital. A personal capital. The worth of oneself, in battle. Let’s celebrate the female face in all its beauty. Not just in make up. 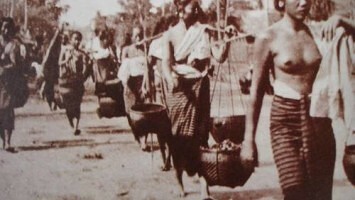 Not just in bikinis, and with belts hung over shoulders. Not just pouting or smiling freely. Let’s start seeing the female face un-ladylike and unfettered to associations with children as “innocent” and something that needs external or social protection. Let’s un-girl the beauty of the female face by letting beauty express itself through our actual faces, which show beauty when we are doing what we love. 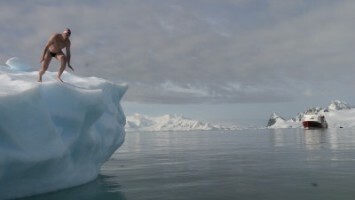 Good article, always wonder “why” others think they can dictate choices adults made. Women Warriors been around from the beginning of time and lived their lives on their own terms. 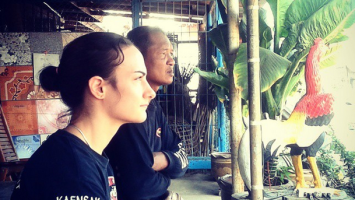 Women’s Combat Sports are Future of Martial Arts.